Stop by Concord Pet this Saturday (5/14) from 12-2pm. All 4 Paws Rescue will be in the store with adoptable dogs of all ages. 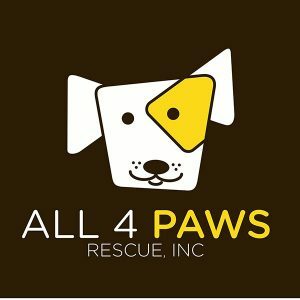 All 4 Paws Rescue, Inc. is a foster-based, all-breed, no-kill animal rescue based in Chester Springs, PA that offers rescue, rehabilitation, and sanctuary to animals in need.